A Reliable Partner to Take Care of Your Integrations Found! We are happy to announce we have a trustworthy partner to take care of your integration with API2Cart! You don’t need to worry about finding an expert agency capable of writing a seamless integration of your system and various shopping carts via our API. We suggest one that has proven to create flexible and long-lasting integrations for our clients. 6B Digital are a development agency based in Leeds, UK. They are young development geniuses that like to keep track of innovation, know how to implement them at your advantage, and really care about your ideas and providing a positive outcome for your project. These guys know the API2Cart API inside out and can build a flawless integration with extendable architecture. 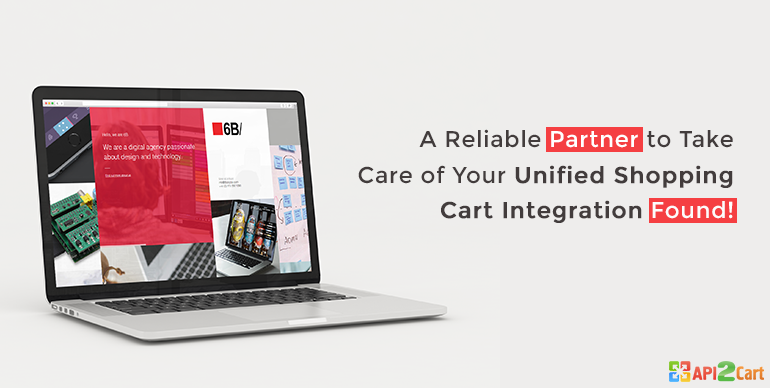 No matter how many carts and what entities you need your integration to be built around, 6B Digital will do it in the best way possible. For more information about integration with API2Cart, contact us with a message or schedule a quick call with our representative by clicking the button below.